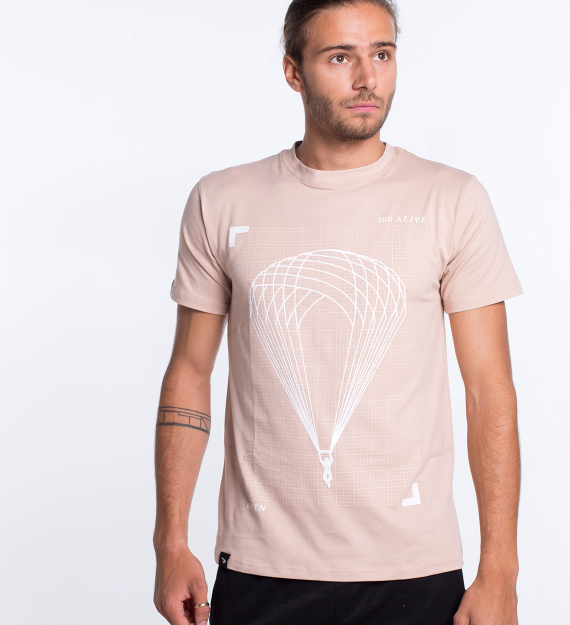 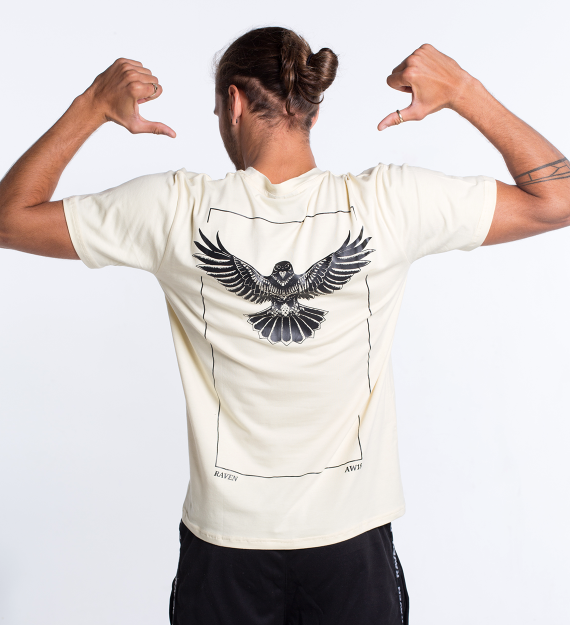 Introducing the Raven “Illuminati” Tee in Khaki. 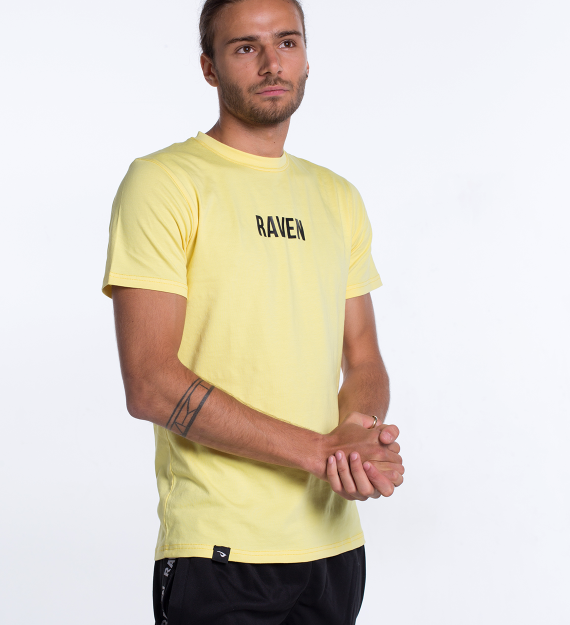 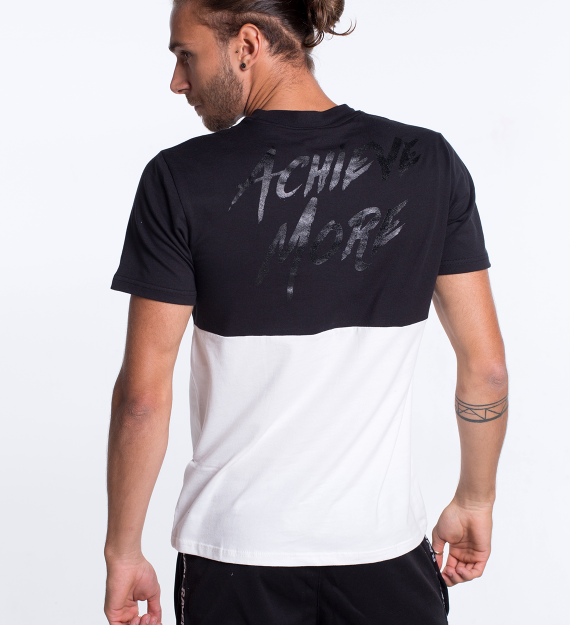 Featuring screen print Raven logo on left chest, with printed RAVEN text running down the right side of the torso. 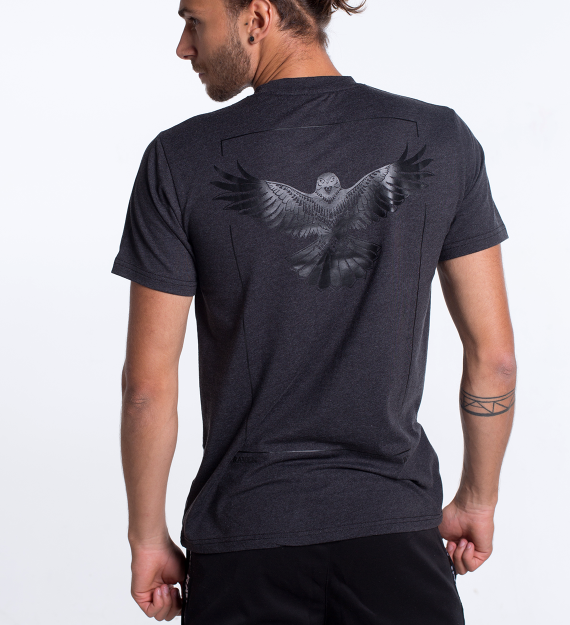 On the back features a large “Illuminati” inspired Raven design in large print.